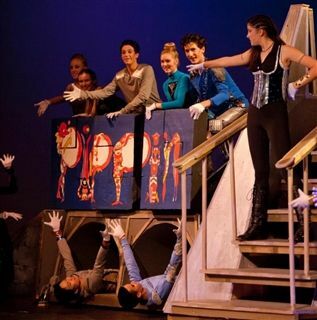 The Pacific Ridge community was treated to four outstanding performances of Pippin on February 5th - 7th. Audiences were wowed by complex choreography, impressive vocals, expert musicianship and spirited acting. The hard-working crew kept the show on track, managed the act-by-act transformations of versatile set pieces, and provided special effects "magic. "Congratulations and thanks go to Director Alison Trattner, to all students involved in the production, and to the many parents who generously donated their time and energy to help make Pacific Ridge School's 7th annual musical a big success.